Armoured sentinel with plasma cannon ready for battle in the scout platoon of the glorious 201st Cadian mechanised! Yeah! 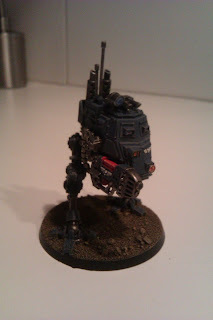 Now I´m down to just one scout sentinel and then my 2000pts army is ready. Some minor detialing on some of the tanks though. And I want to have a nice army for the apoc game. Hoping around 3000pts, so it´s hard work ahead on spare time! Your 3000p and my 5000p will crush all heretic scum.